What conditions does Linezolid Solution, Intravenous treat? This medication may increase serotonin and rarely cause a very serious condition called serotonin syndrome/toxicity. The risk increases if you are also using other drugs that increase serotonin, so tell your doctor or pharmacist of all the drugs you use. Get medical help right away if you develop some of the following symptoms: fast heartbeat, hallucinations, loss of coordination, severe dizziness, severe nausea/vomiting/diarrhea, twitching muscles, unexplained fever, unusual agitation/restlessness. List Linezolid Solution, Intravenous side effects by likelihood and severity. What should I know regarding pregnancy, nursing and administering Linezolid Solution, Intravenous to children or the elderly? Does Linezolid Solution, Intravenous interact with other medications? Should I avoid certain foods while taking Linezolid Solution, Intravenous? 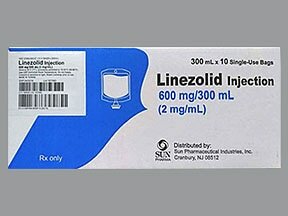 Are you taking Linezolid Solution, Intravenous? Are you considering switching to Linezolid Solution, Intravenous? 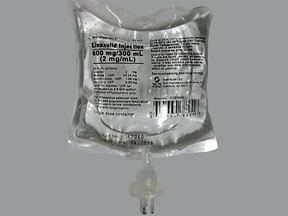 How long have you been taking Linezolid Solution, Intravenous?